Amber reflects on her journey through educational technology, spanning national and institutional roles. 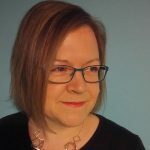 She has worked on several big projects in UK FE and HE over this time and now leads academic technology from within IT Services at the University of Warwick. She shares her observations on how we navigate the complexity of our field, both within our institutions and as a community of practice. Sometimes unexpected but always honest, Amber asks what universities and colleges need from us in 2018 and beyond.